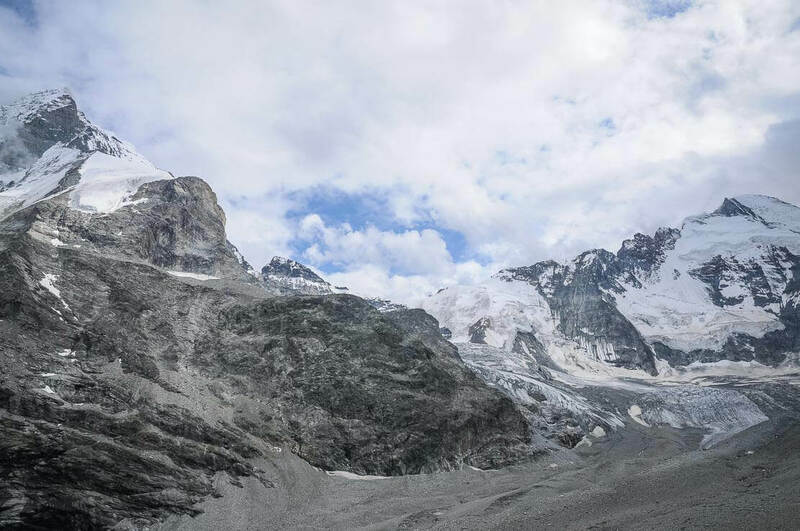 Hike to the Schönbiel Hut, or Schönbielhütte, is one of the easiest among many long hikes in Zermatt. 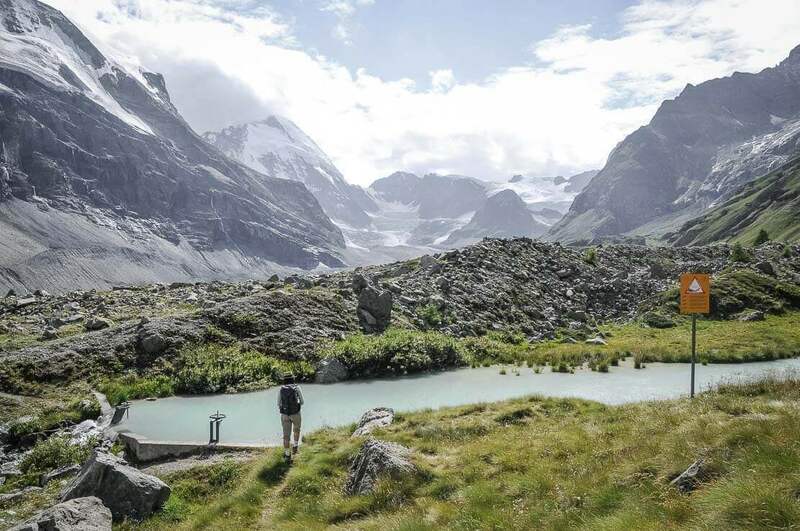 Walk in the glacier basin, with a view of a lesser-known side of the Matterhorn. 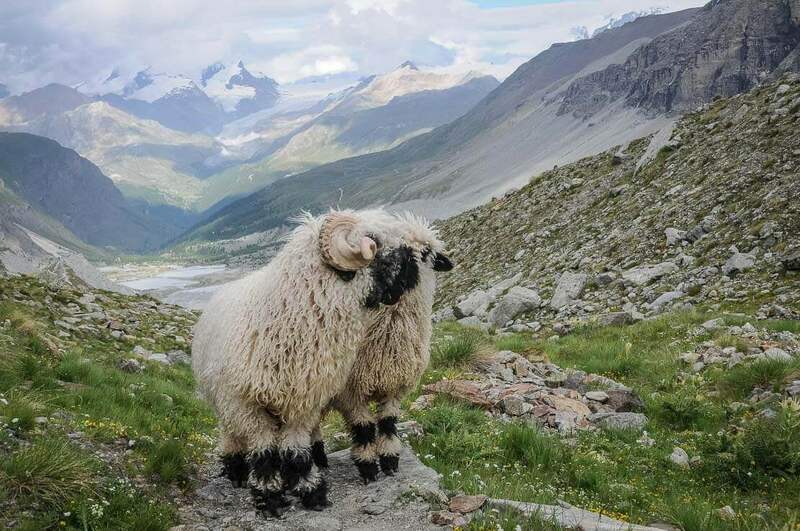 Meet the famous Black-Nose sheep, the mascot of Zermatt. 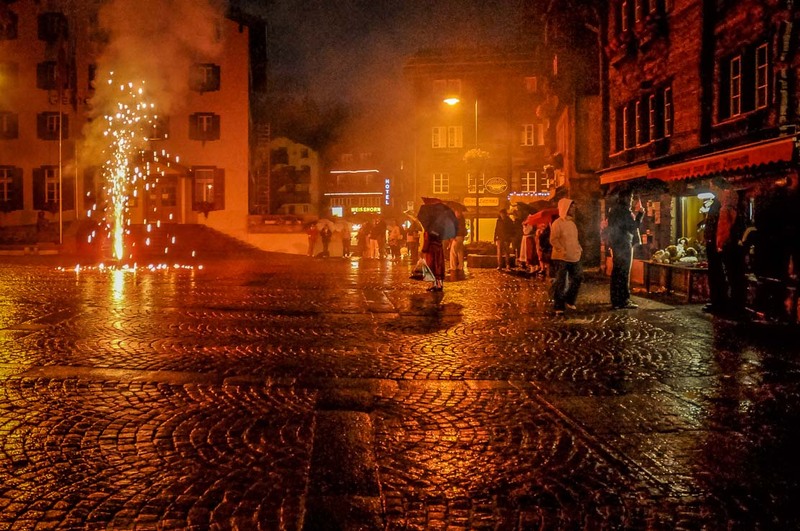 As Zermatt is quite far from Geneva and the hike is quite long, we decide to spend the night in the village of Zermatt. 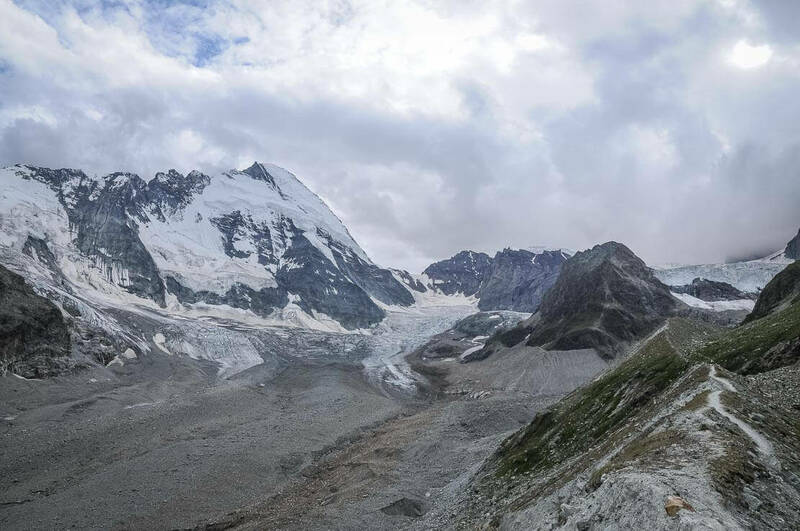 We go for a hike to the Schönbiel Hut, or Schönbielhütte, the next day. 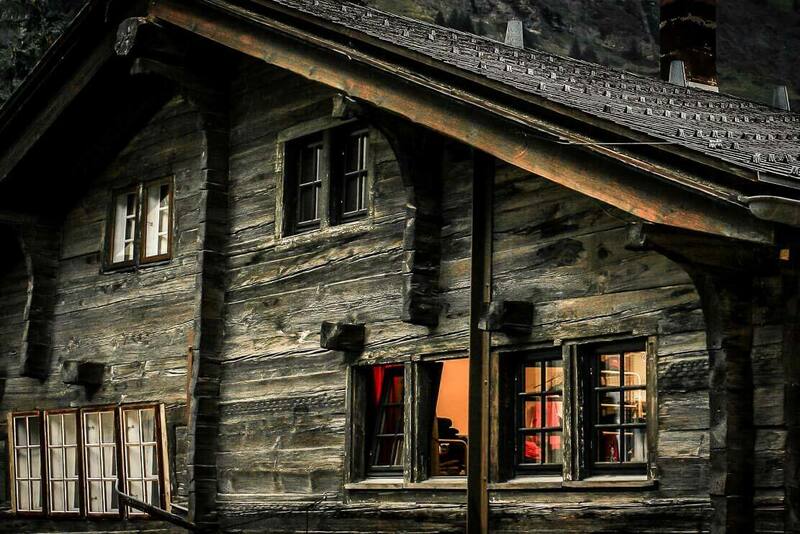 The mountain ski village of Zermatt in Wallis is one of the most renowned in Switzerland. 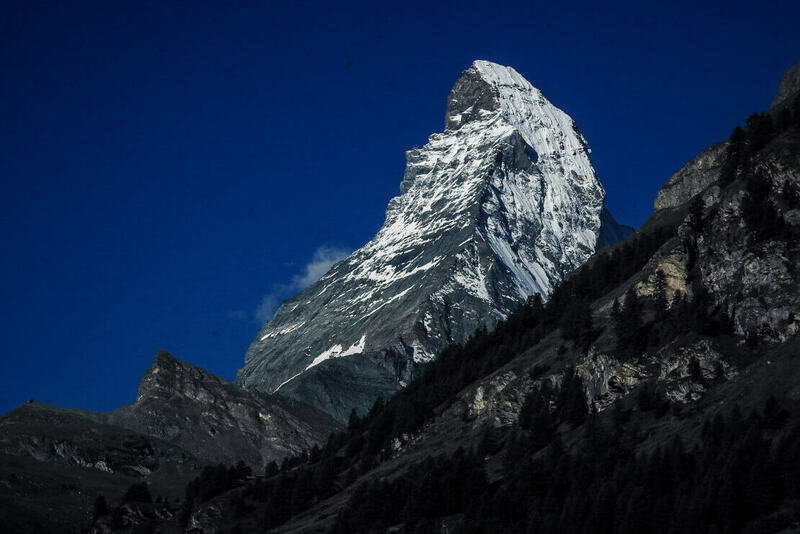 The village is surrounded by the mountain summits dominated by the Matterhorn, the most photographed mountain in the world. 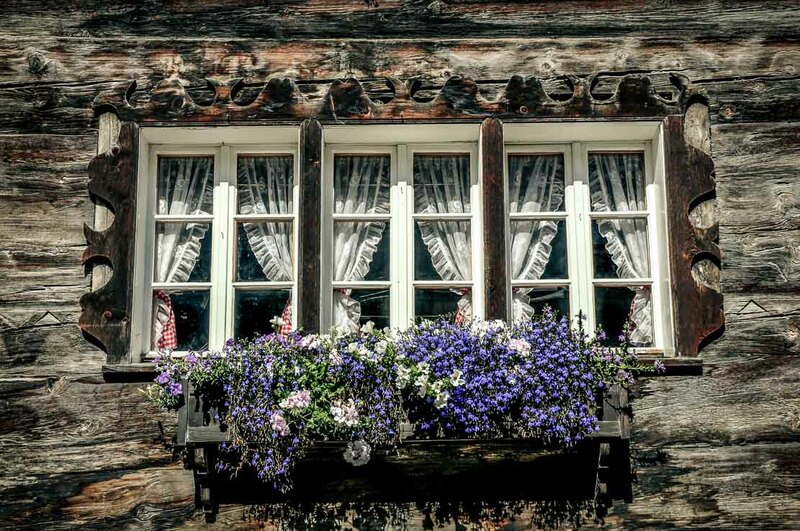 Despite its fame, Zermatt has retained its charm as a small mountain village. 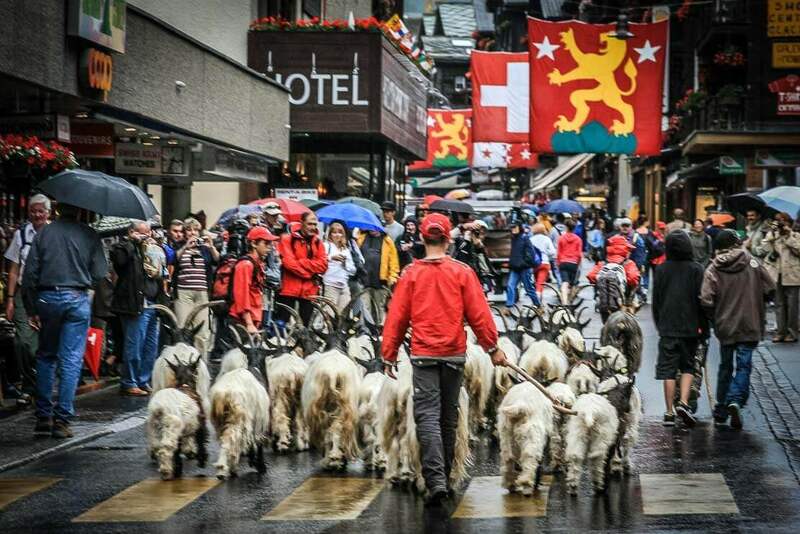 The cars are forbidden in Zermatt – people walk, use electric cars, sleighs in winter and horse carriages in summer. 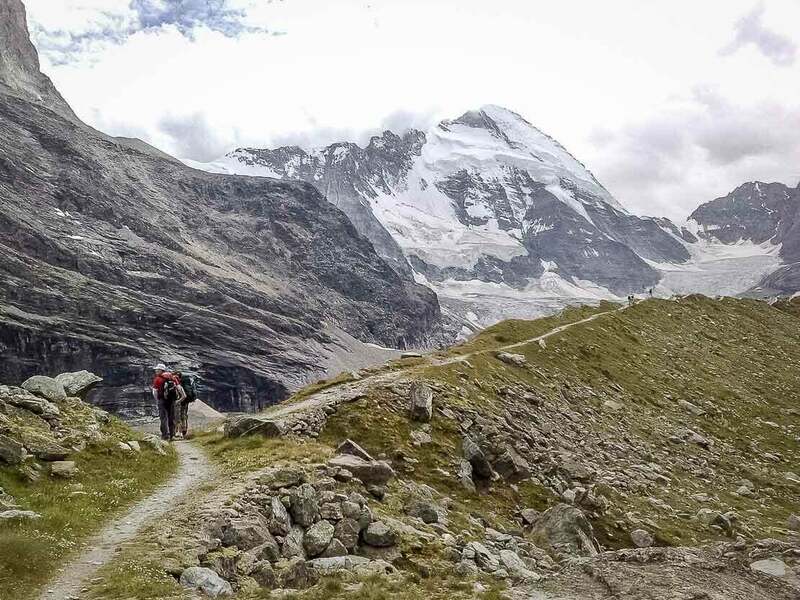 After a hearty breakfast, we are finally on our way to Zmutt located on the way to the Schönbiel Hut. 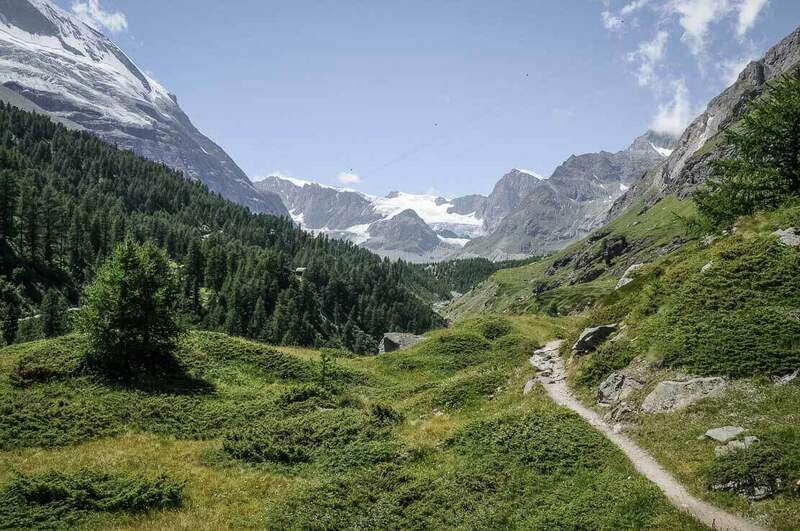 The hiking trail to Zmutt is pretty and quiet, and the climb is gentle. 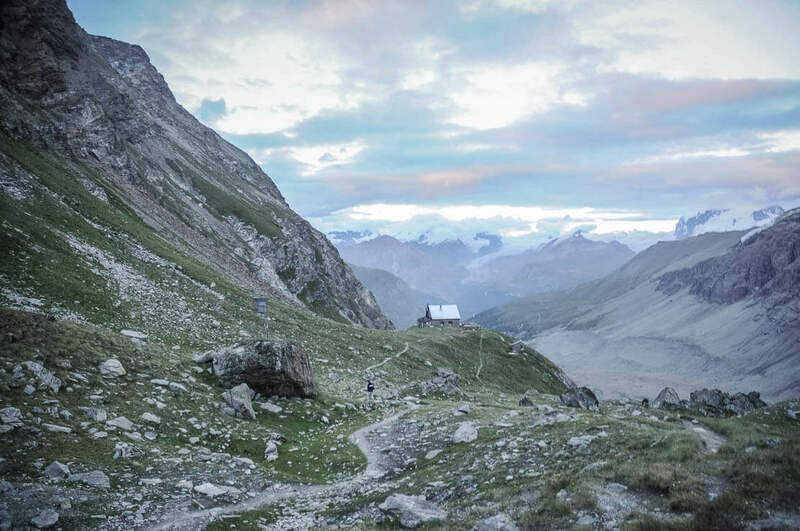 On the way, we come across small huts and wooden shelters on stilts as well as some marmots. 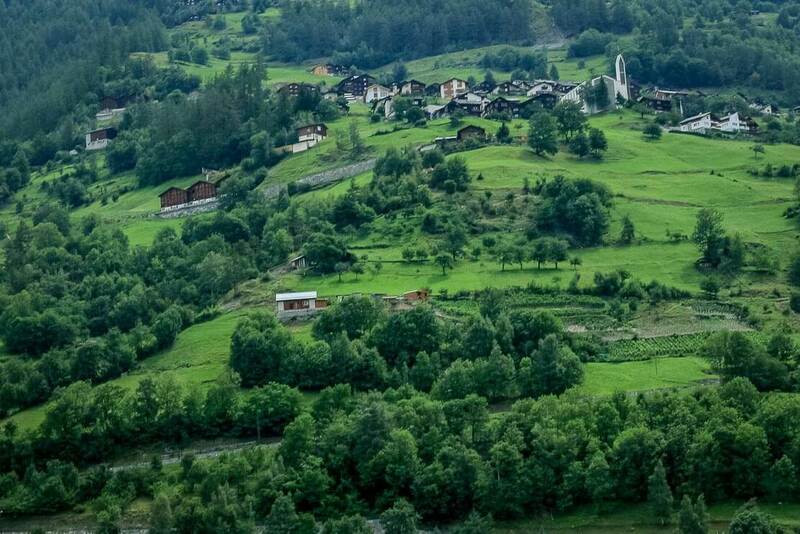 After about 1 hour of walking, we arrive in the hamlet of Zmutt, a group of very picturesque chalets located in the middle of the green and sunny plain. 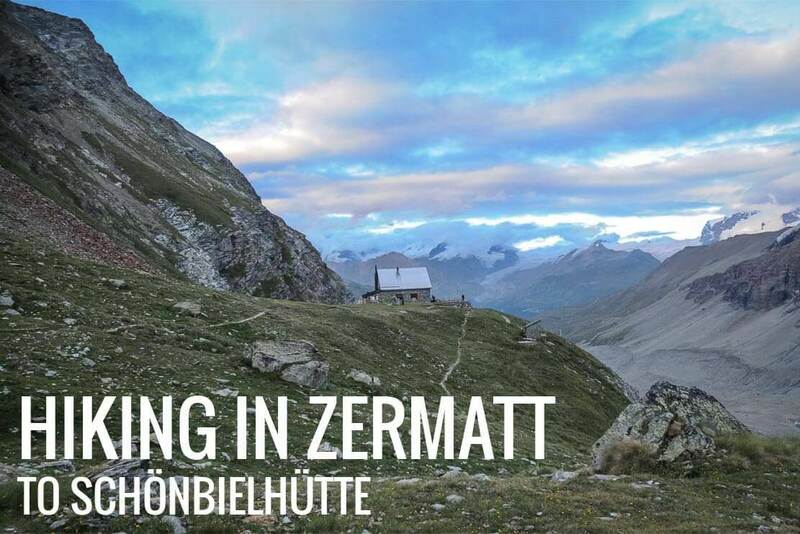 Today, Zmutt, which looks like a photo from a book, depends on tourism. 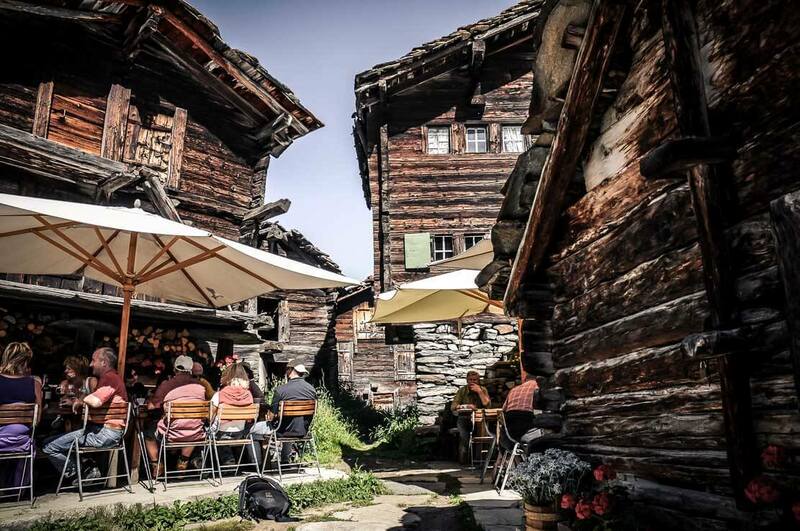 Its restaurant Jägerstube invites hikers to relax and have a drink or a meal. We cannot resist, and we stop here for a coffee break. 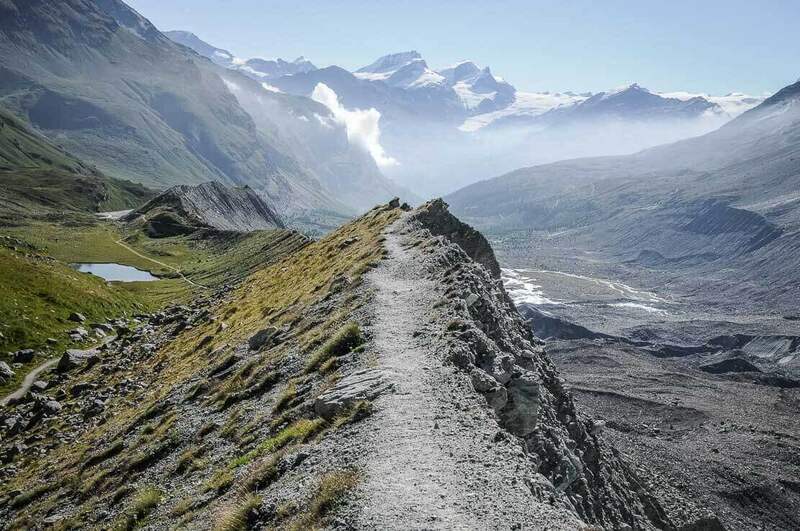 The trail leading to the Schönbiel Hut is one of the most varied. 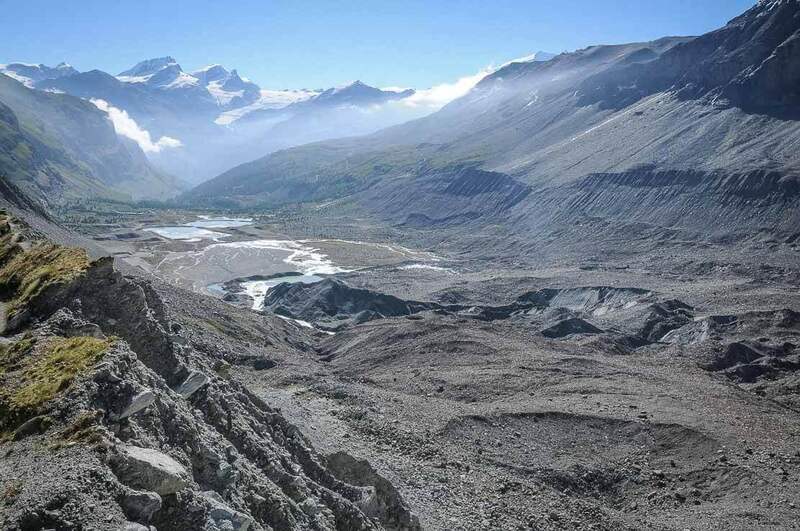 We pass through meadows, plains, forests and glaciers. 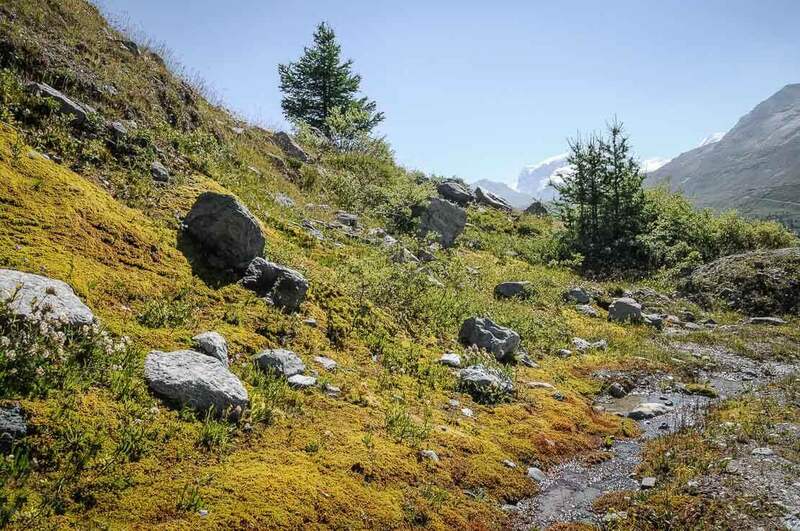 Beyond Zmutt, the trail starts to gently climb on the edge of the forest of alpine larches. 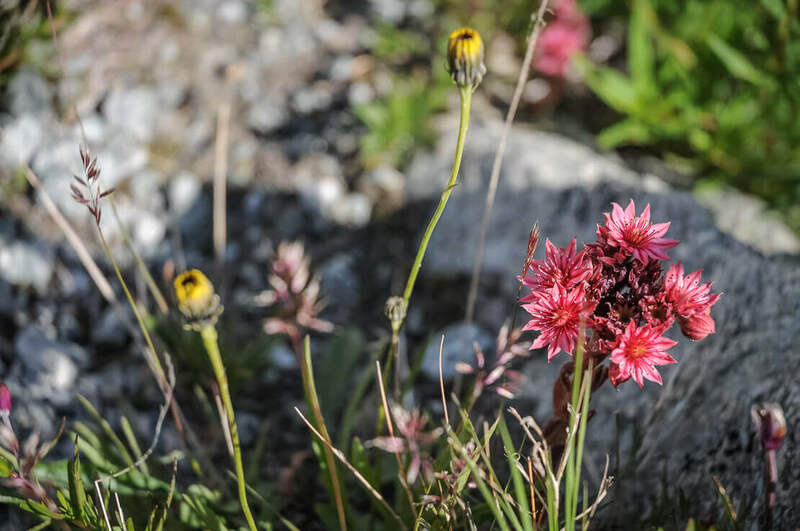 On the way, we see edelweiss, purple gentians, eagles, and marmots. 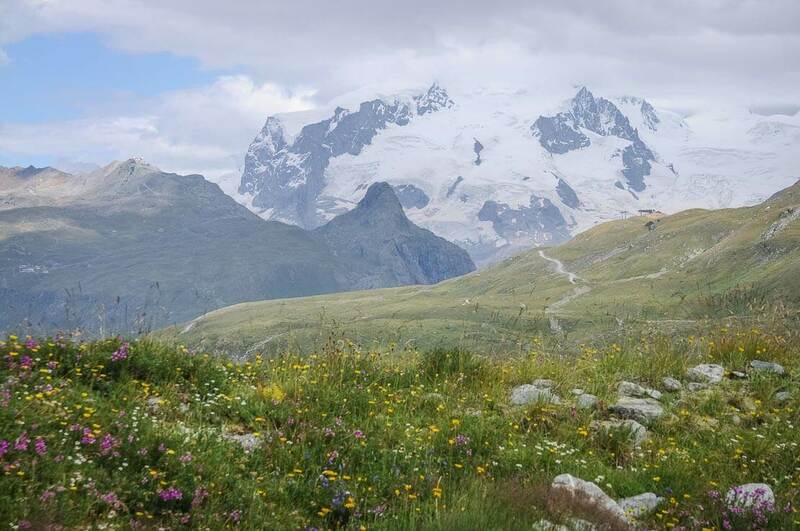 Apparently, there are also ibexes and chamois but we didn’t get a chance to see them that day. 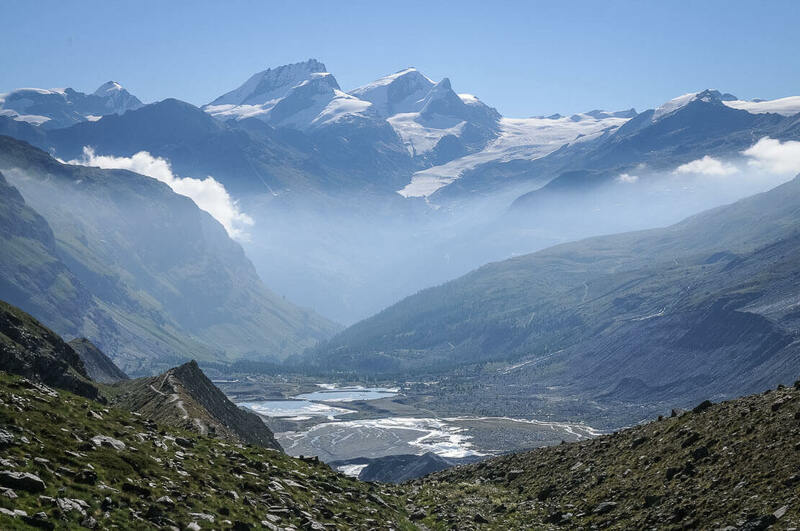 Looking back in the direction of Zermatt, we see the Gornergrat perched on the open ridge with the Monte Rosa behind. 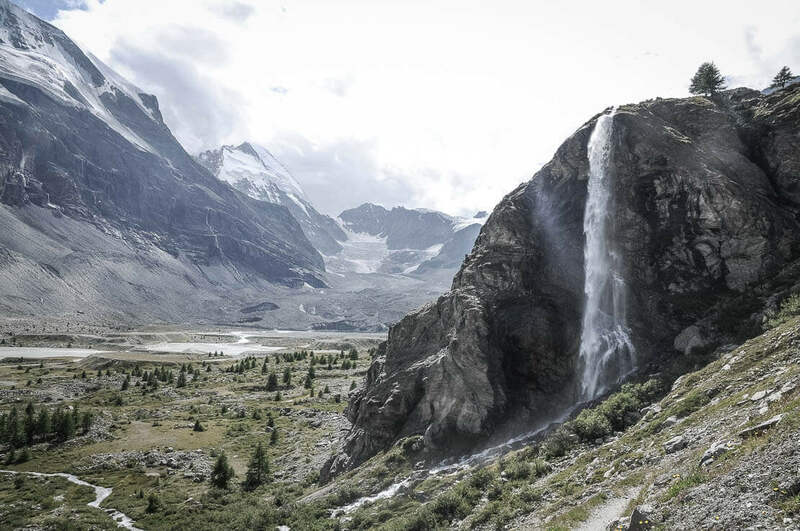 We follow the trail and arrive in front of the Arbenbach Waterfall. 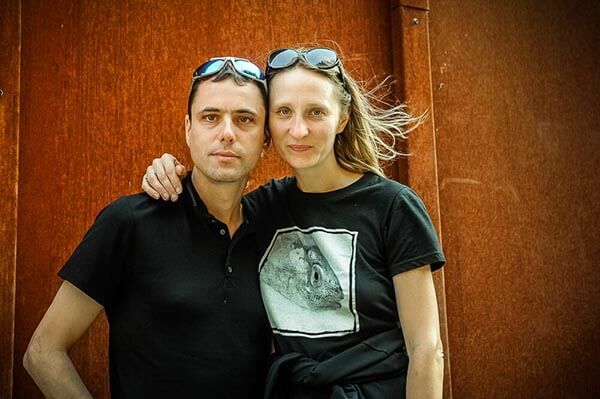 We take the opportunity to have a rest and refresh ourselves. 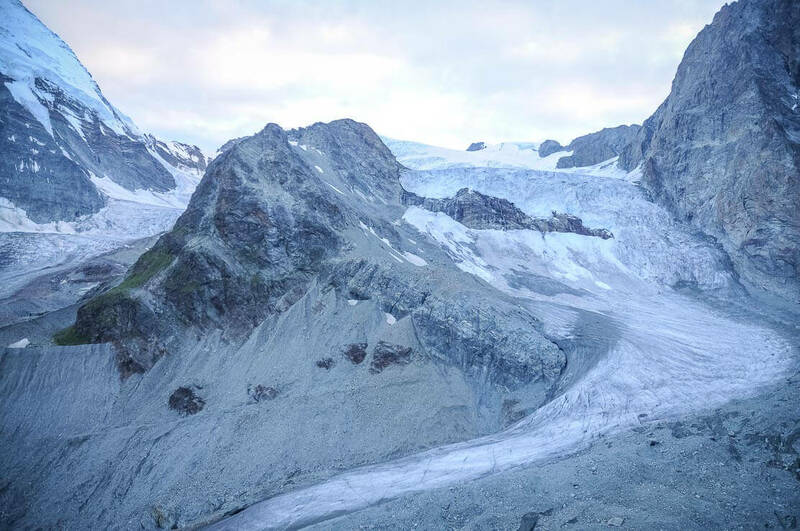 We take the trail leading to the old lateral moraine of Zmuttgletscher, or Zmutt Glacier. 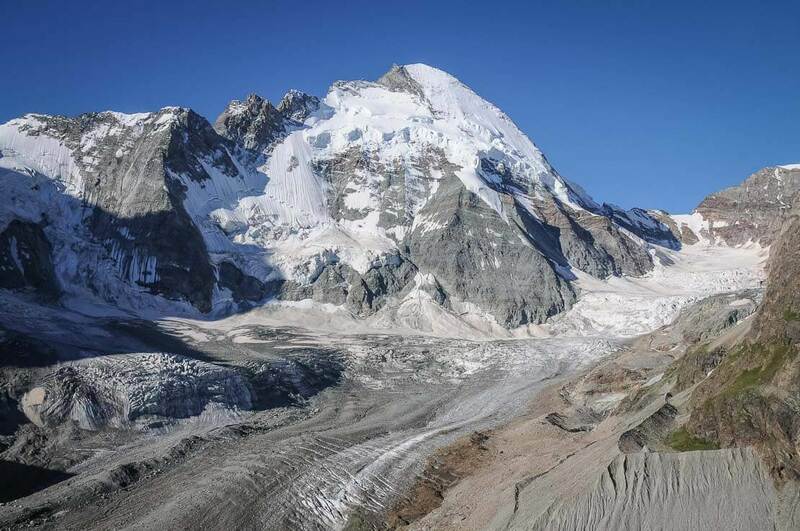 One can get an idea of its size a few decades ago by looking at the basin that the glacier left behind after it has melted. It’s enormous and now a torrent is flowing in its centre. 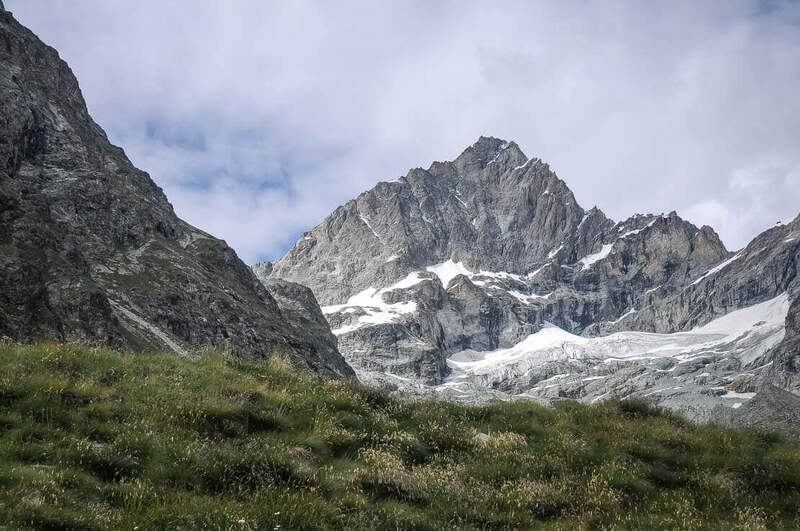 We have two choices, either to continue on the crest of the old moraine or take a trail below. 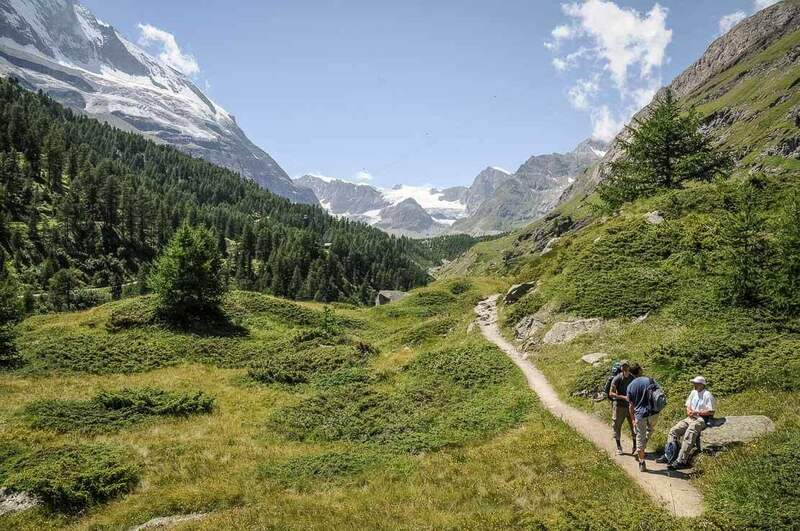 We take the trail on the crest of the moraine. 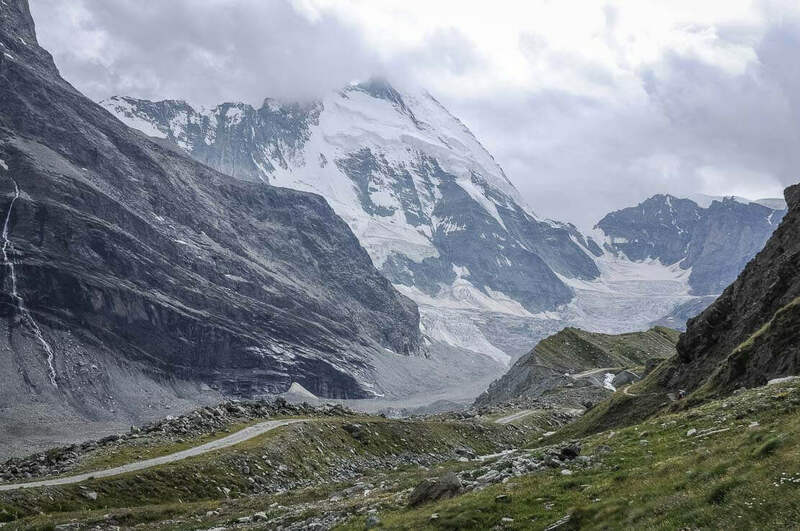 The crest is very narrow due to erosion. In some places, there are only a few centimetres left. 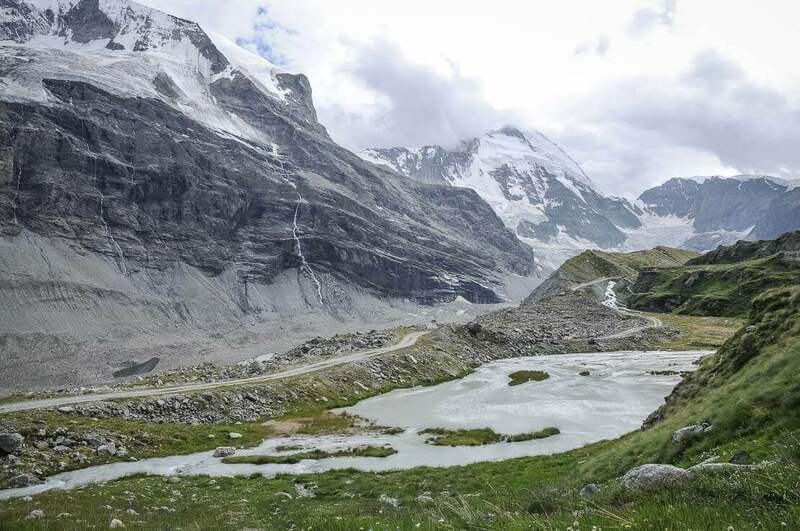 It’s possible that the crest is even unpassable now, and the hikers must take the trail below the valley and walk along a small stream, on the right-hand side of the moraine. 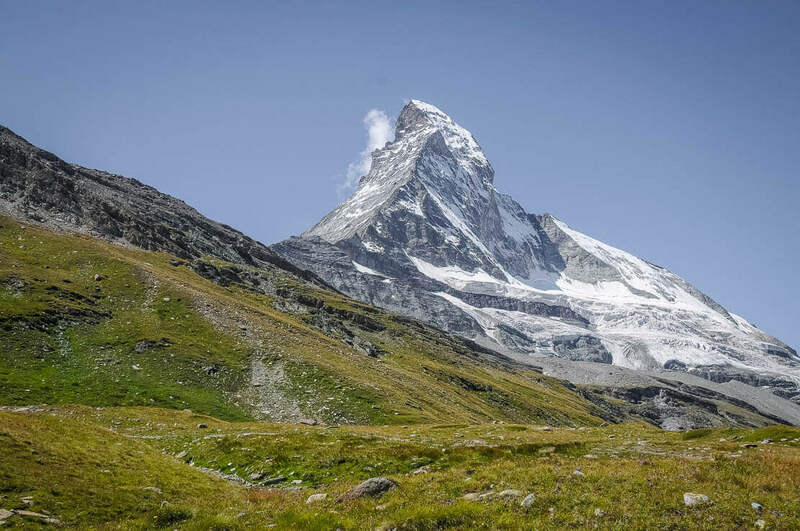 We walk along the ridge under the Matterhorn’s eye. 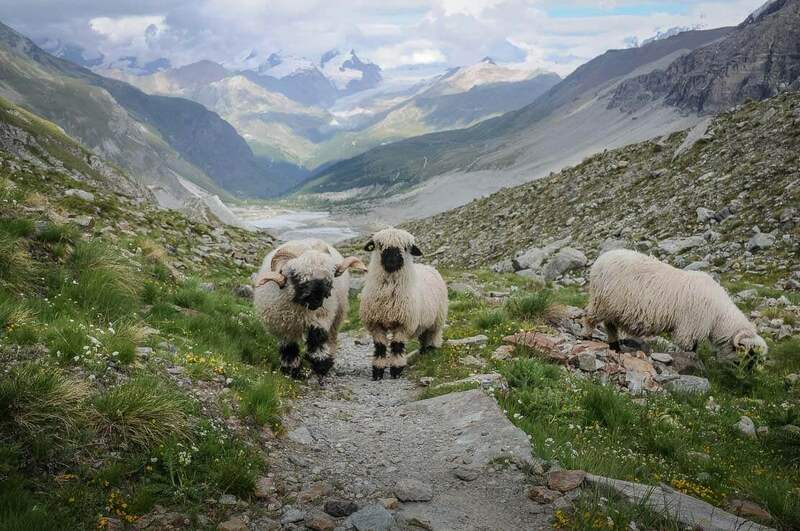 We come across the famous Black-Nose sheep, the mascot of Zermatt. 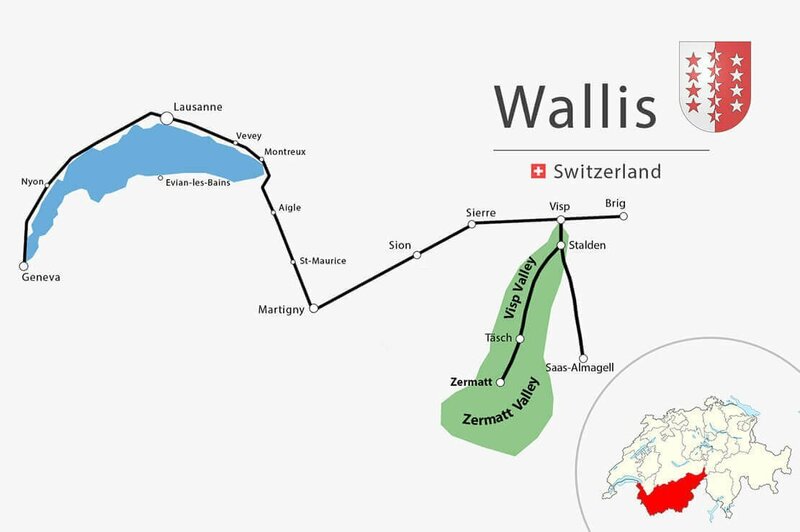 In the old days, they were only found in Wallis. 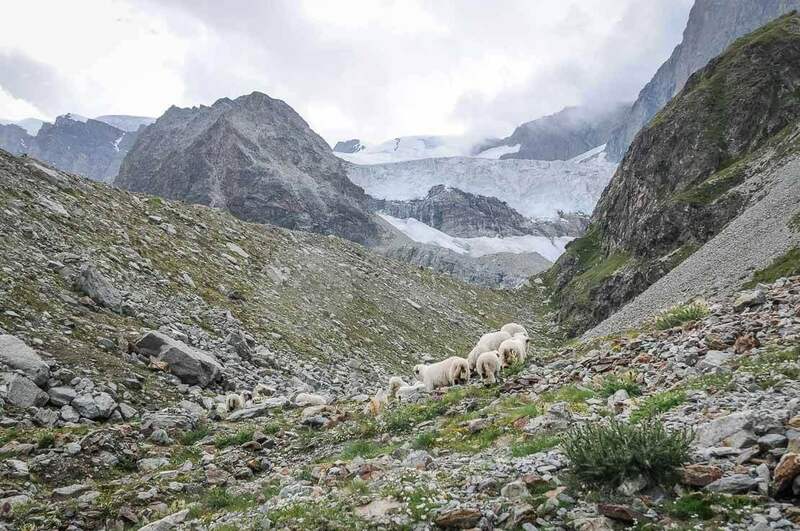 These sheep are sturdy and they feel themselves comfortable in the mountains, both in summer and winter. 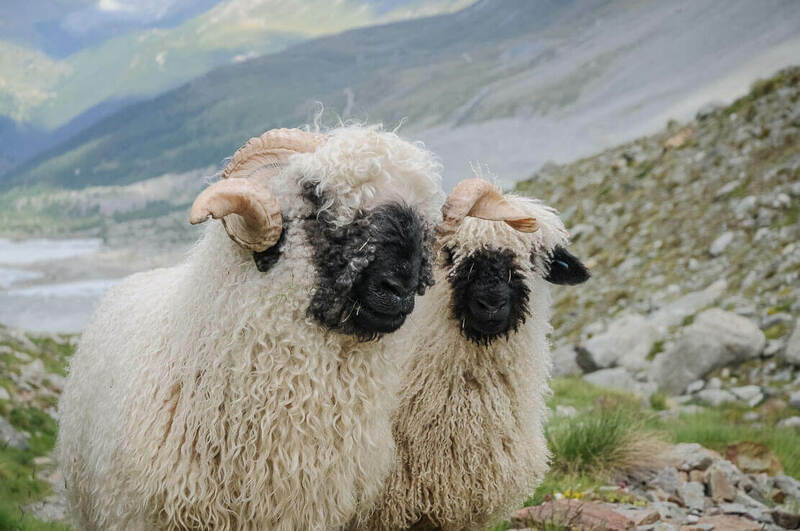 They have a soft white wool and a black nose, hence, their name. Errol cannot resist catching one to for cuddling and talking to him. 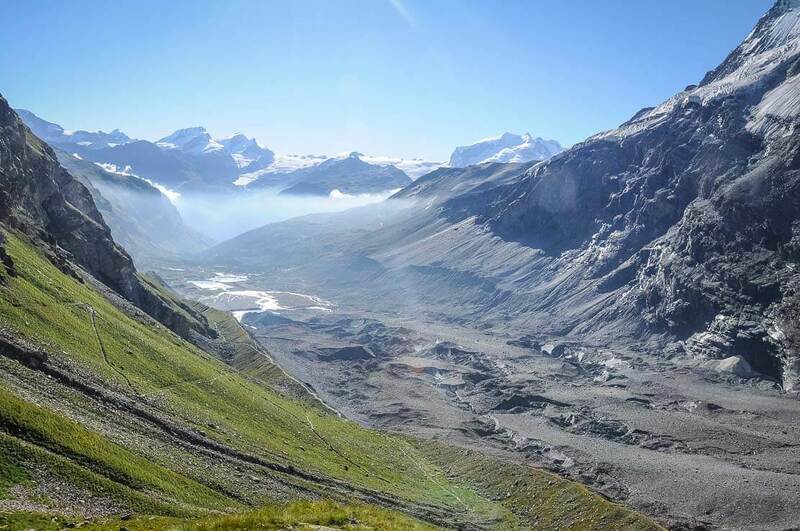 Located at the end of the Zmutt valley, now we see the Schönbiel Hut from the distance. 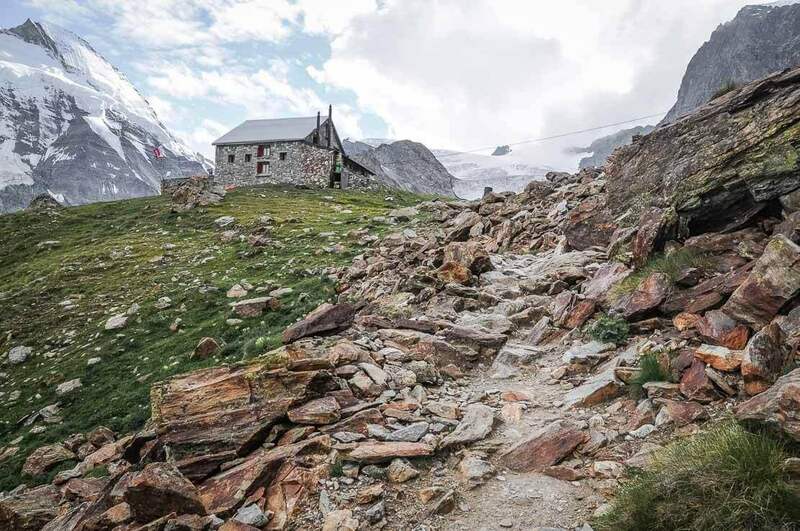 The trail climbs in laces to the hut. 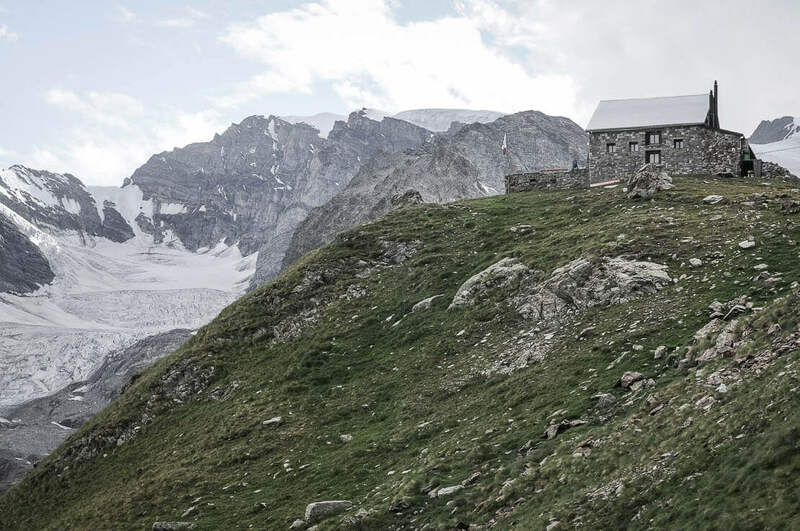 Built in stone, the beautiful Schönbiel Hut is perched at 2,694m above sea level in the exceptional location, on a small summit above the Zmuttgletscher, or Zmutt Glacier. 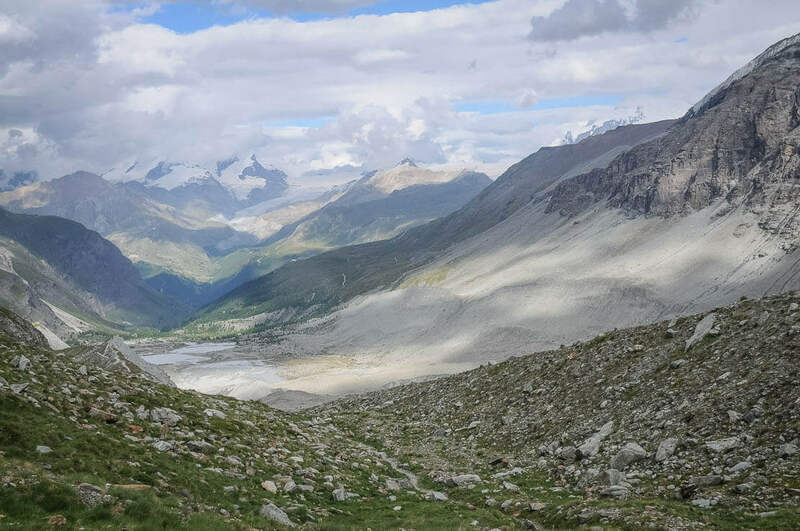 From there, we have a direct view of the north face of the famous Matterhorn and the Dent of Hérens, with the Stockjigletscher on its right. 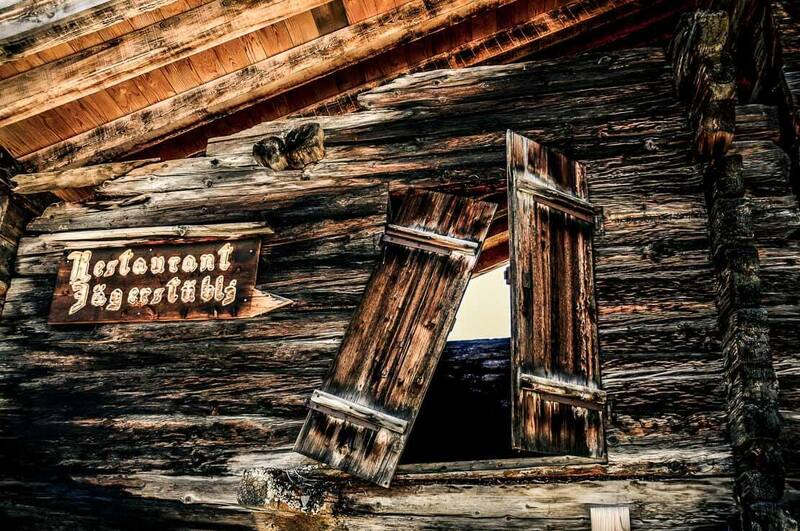 The predecessor of the current Schönbiel Hut (Schönbielhütte), the Stockje Hut (Stockjehütte), was built in 1875. 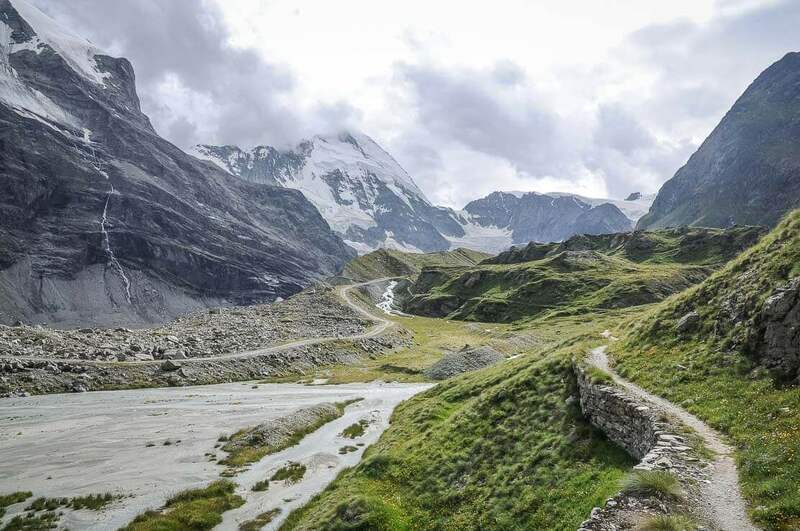 It was demolished by an avalanche in 1890 and rebuilt in 1909, this time on the higher grounds. For this occasion, it changed its name. 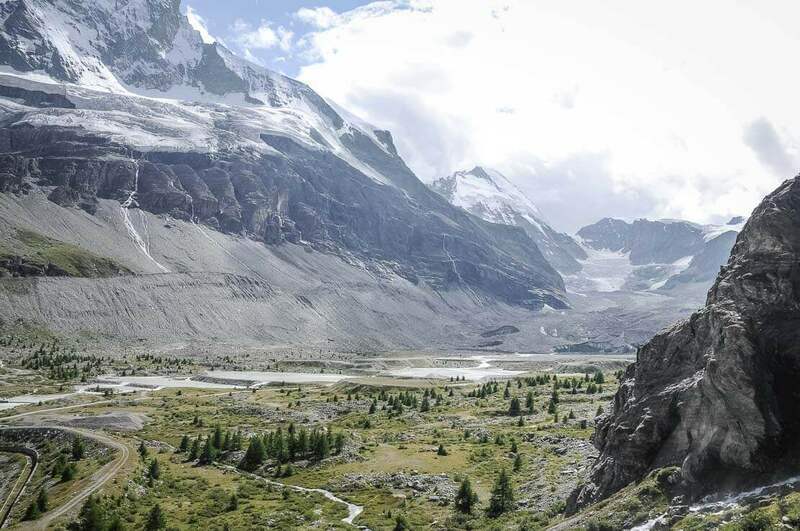 Demolished in 1955, its foundations have been used to build the current Schönbiel Hut. 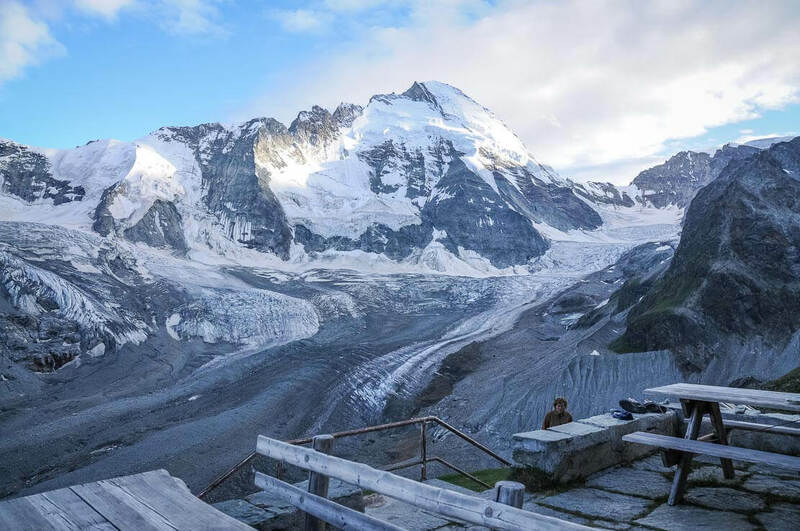 We take time to enjoy the incredible view from the Schönbiel Hut before supper – a hot and delicious soup, followed by a main course and a dessert. The choice of wines in the bar is very good, and we enjoy the evening! The next morning, to our regret, we leave this magical place promising to return. 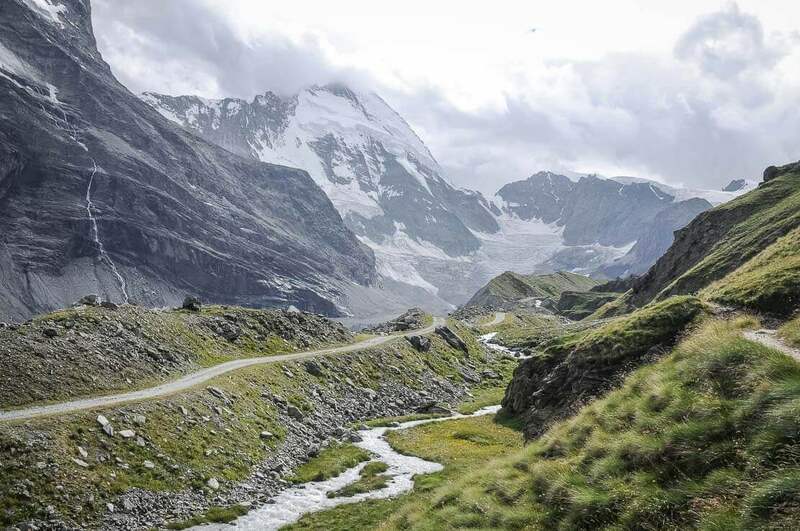 For our return, we decide to extend our hike. 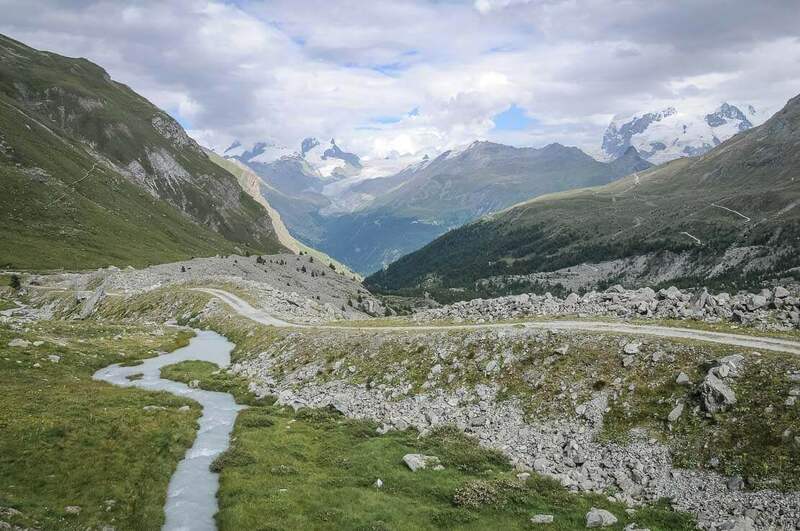 We stop for a break at Stafelalp. The weather is splendid but there are too many people to our taste. 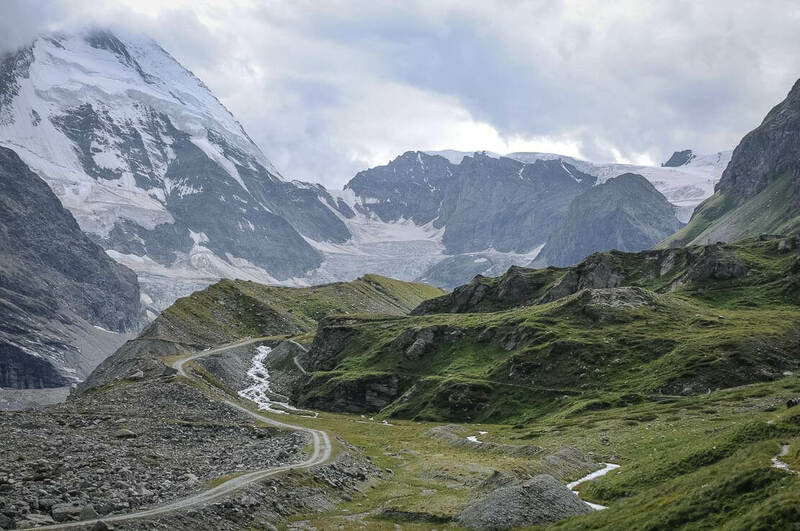 Most of them come here from Schwarzsee or from Furi by a cable car. 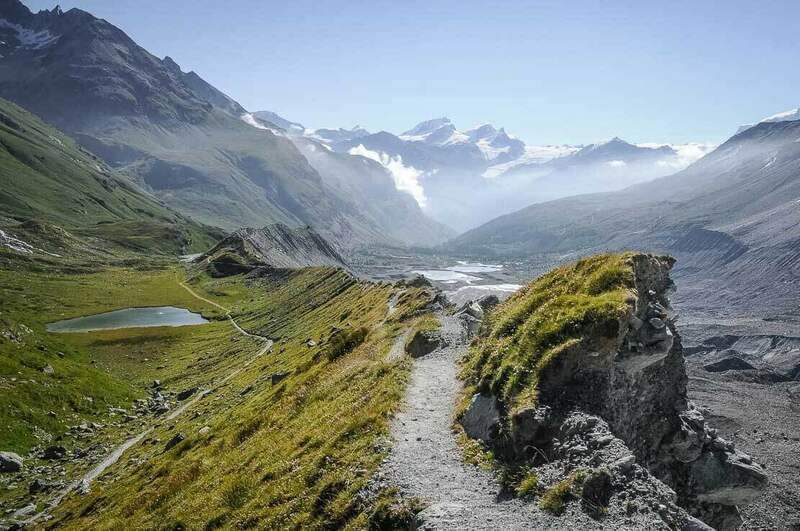 In the vicinity of Stafel, we take a trail, which leads to the Lake Schwarzsee, a beautiful place at the foot of the Matterhorn. 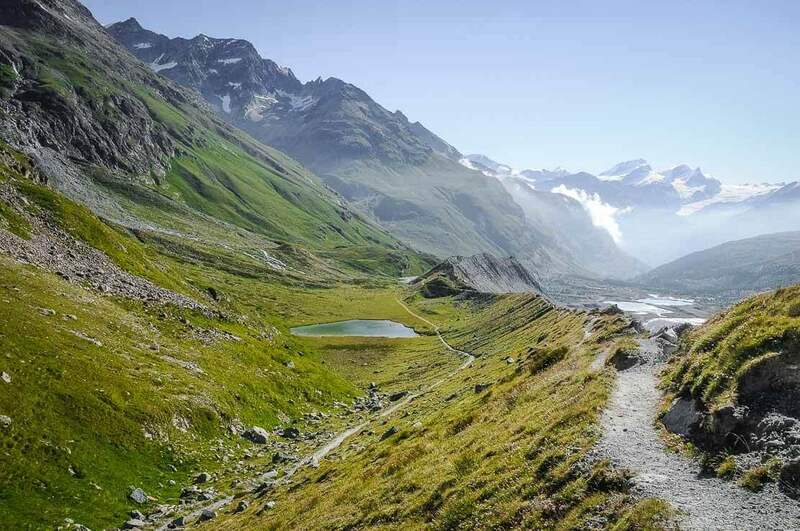 The walk from Stafelalp to Schwarzsee is about 1 hour (not including photo breaks). 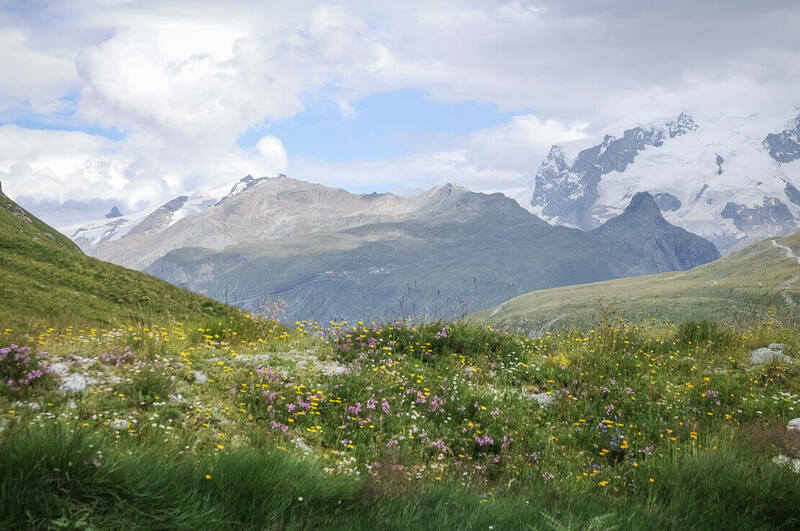 The view is beautiful, and we make frequent stops to admire the scenery. 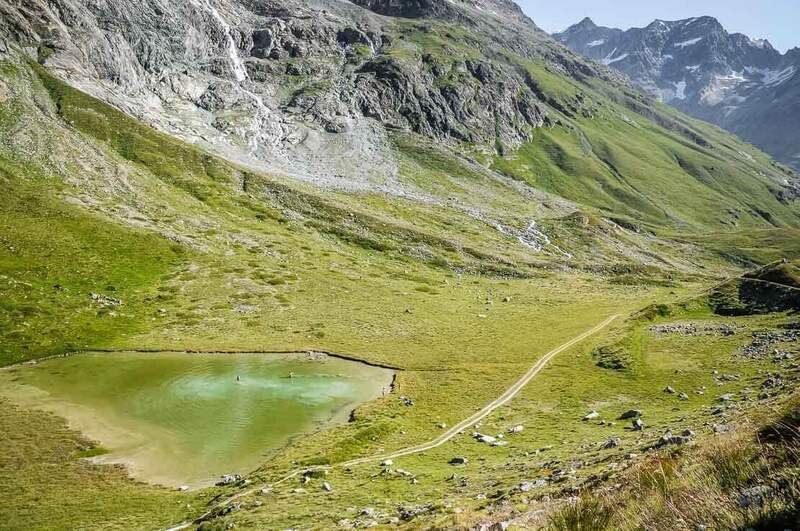 Despite quite many people at the Lake Schwarzsee, we take a break and then decide to have a meal in the Schwarzsee restaurant, which offers a panoramic view. 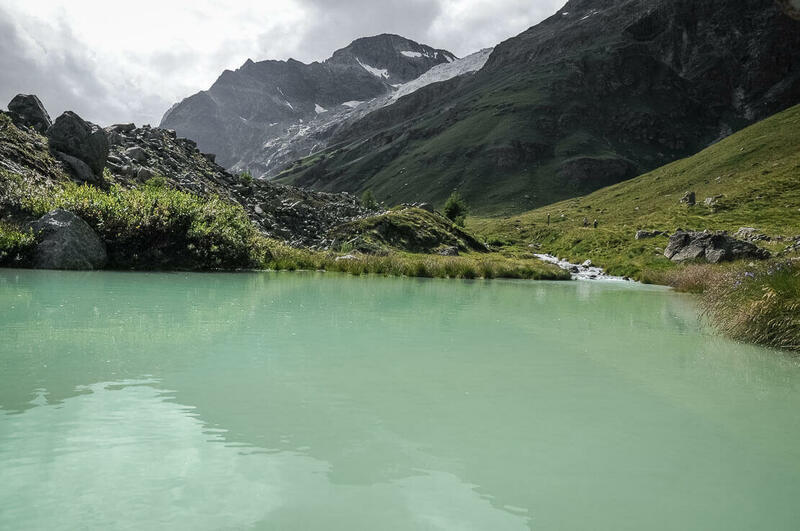 Despite the cold water of the mountain lake, we go for a swim before returning to the village of Zermatt. 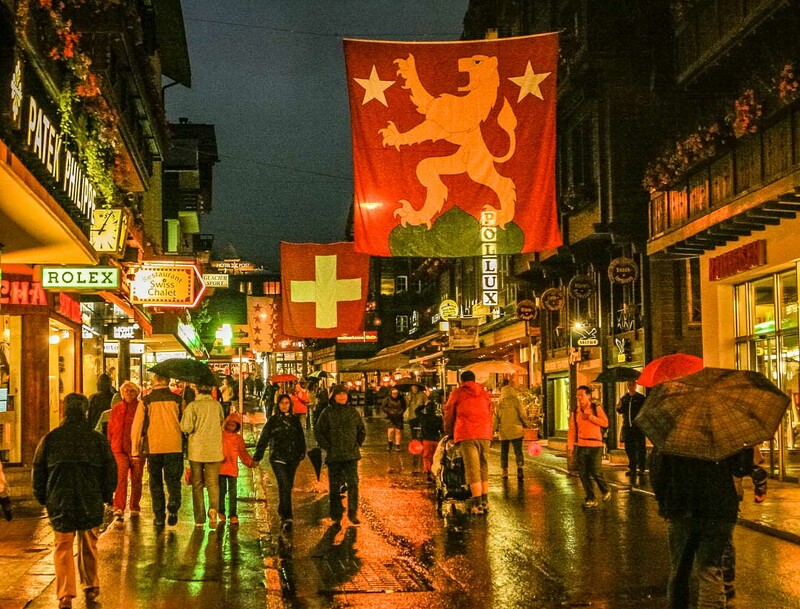 After the peacefulness of the mountains and the beautiful hike to the Schönbiel Hut, our arrival in Zermatt is kind of a shock, with its busy main street. 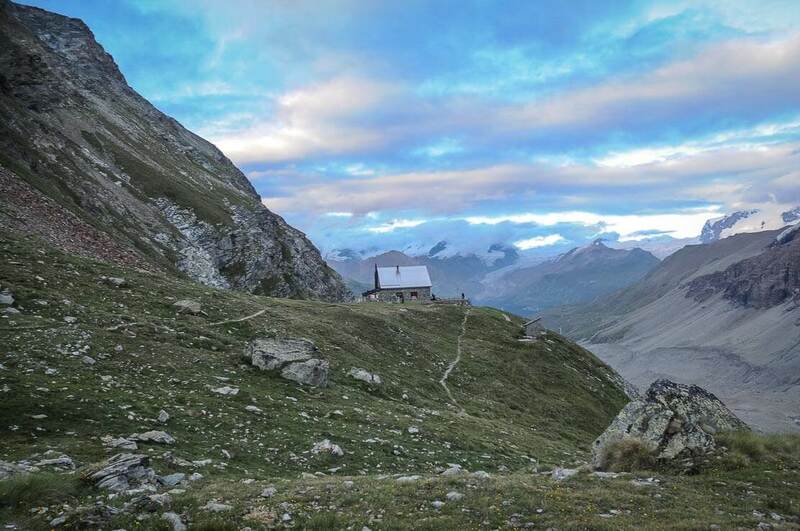 Access: Schönbiel Hut, or Schönbielhütte, is located in the canton of Wallis in Switzerland. 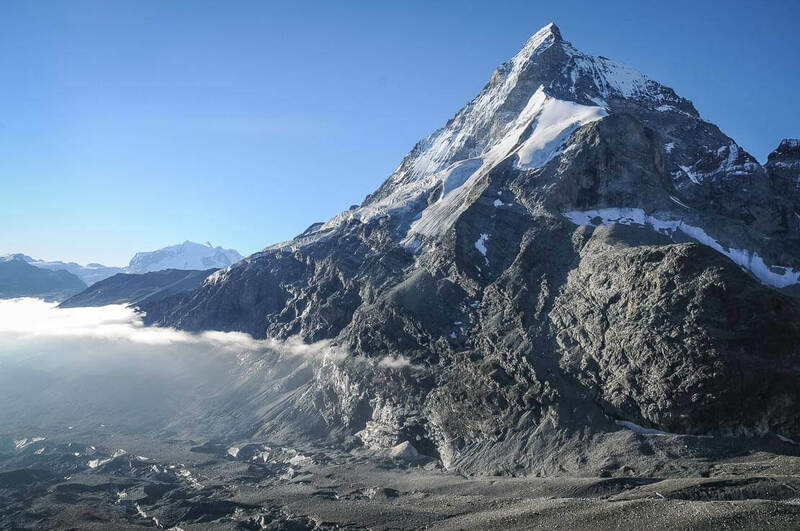 Perched at 2,694m, it can be reached directly from the village of Zermatt. 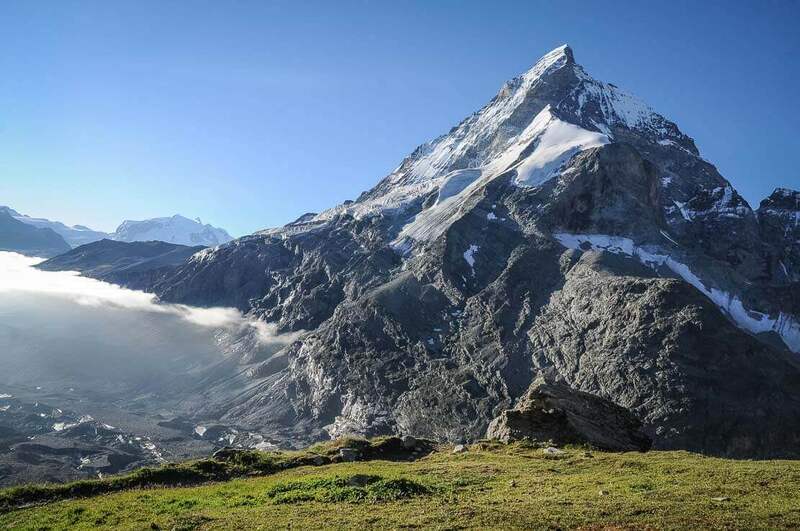 Duration: Hike to the Schönbiel Hut from Zermatt via Zmutt: 4h-5h. 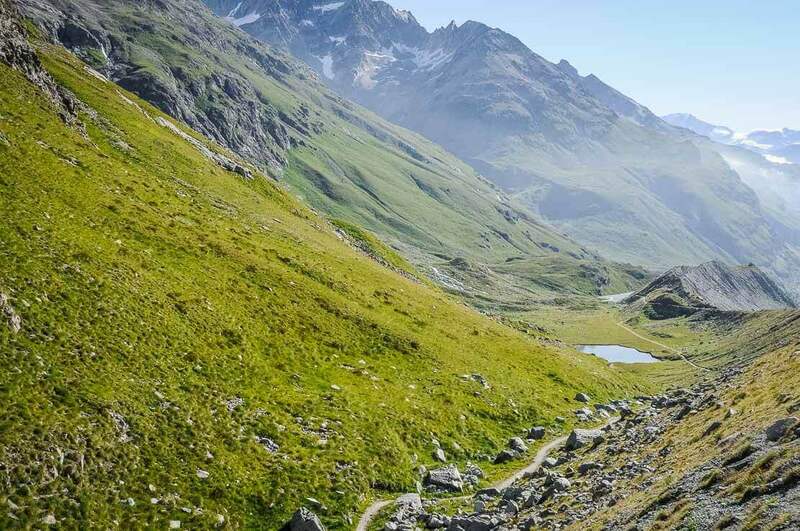 It’s a long hike, which can be shortened by taking a cable car to the Lake Schwarzsee. 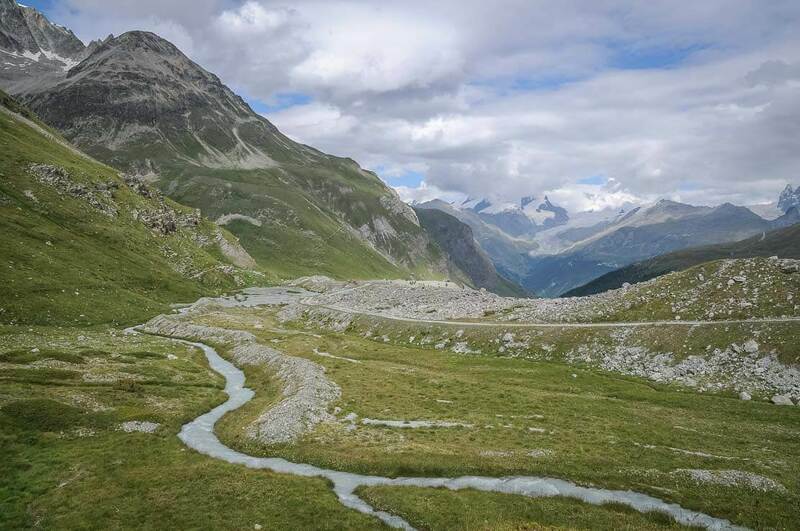 Hiking from the Lake Schwarzsee: 2h30. 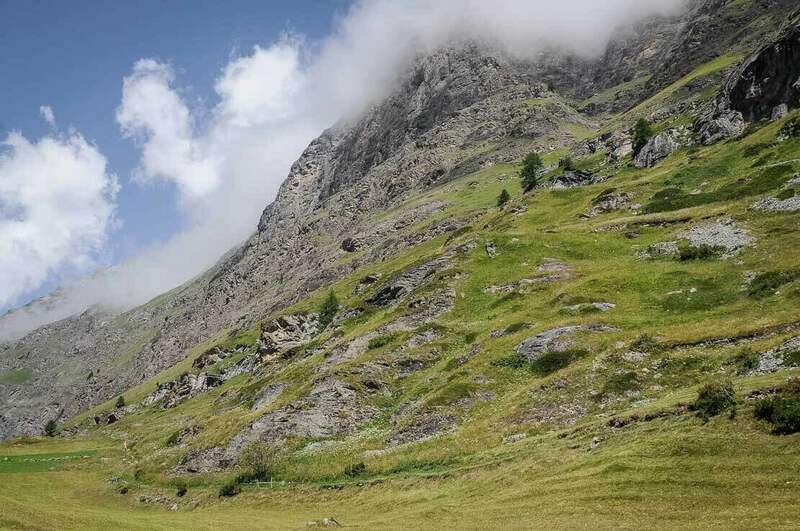 Difficulty: Easy hiking: T2 (medium, mountain hiking), 11km, with 1’100m altitude difference. 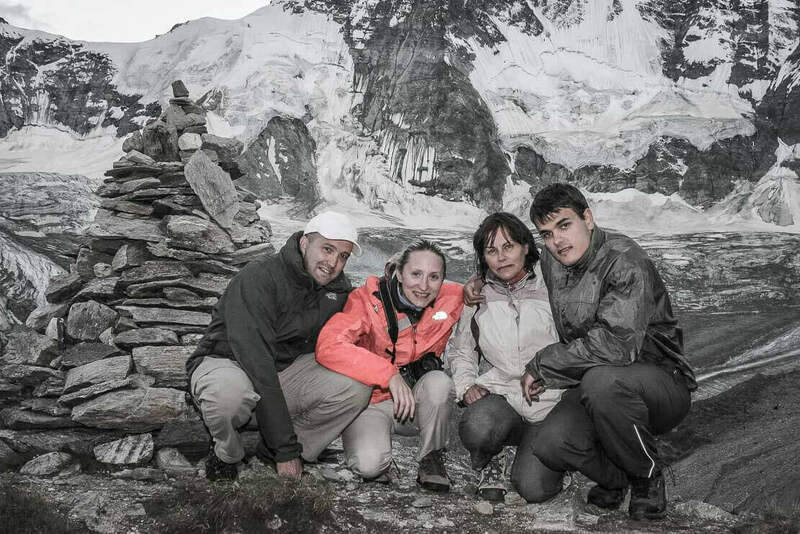 Schönbiel Hut website. 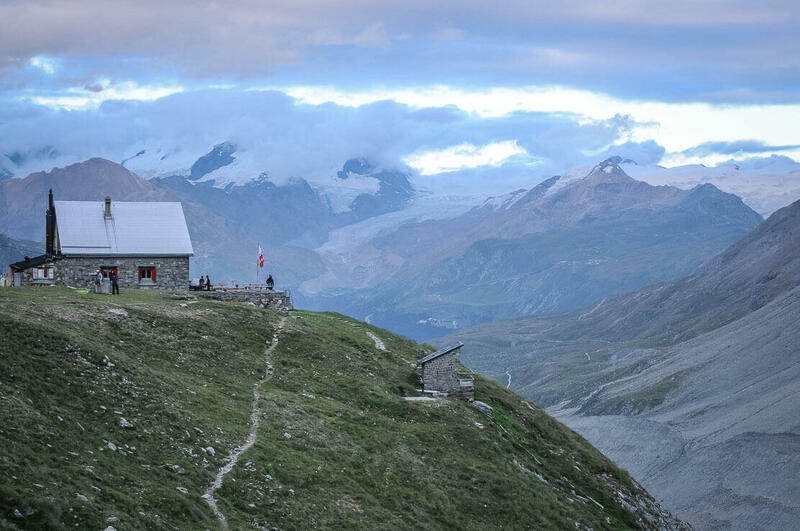 You can also find information about the hut on Monte-Rosa section website. 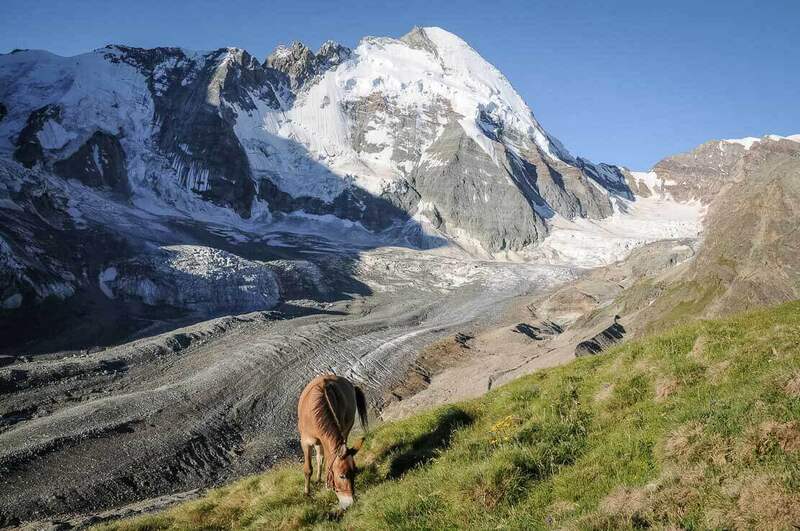 The Schönbielhütte is guarded from end of June to mid-September. Dormitories with mattresses, pillows and duvets provided. 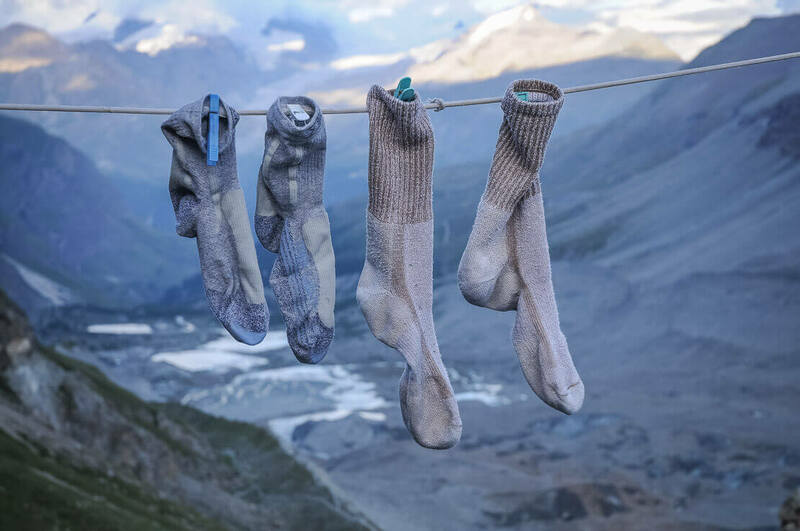 For hygienic reasons, all visitors are required to bring a sleeping bag or linen. 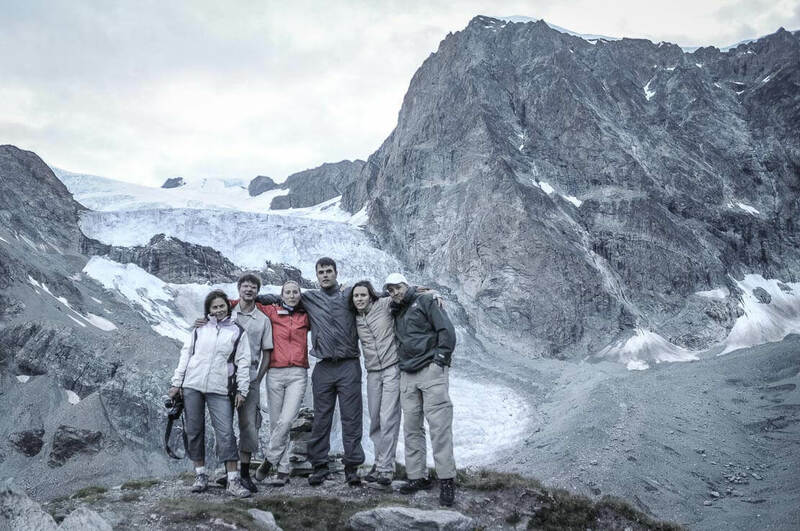 Schönbielhütte belongs to the Swiss Alpine Club (CAS), offering a discount to its members.